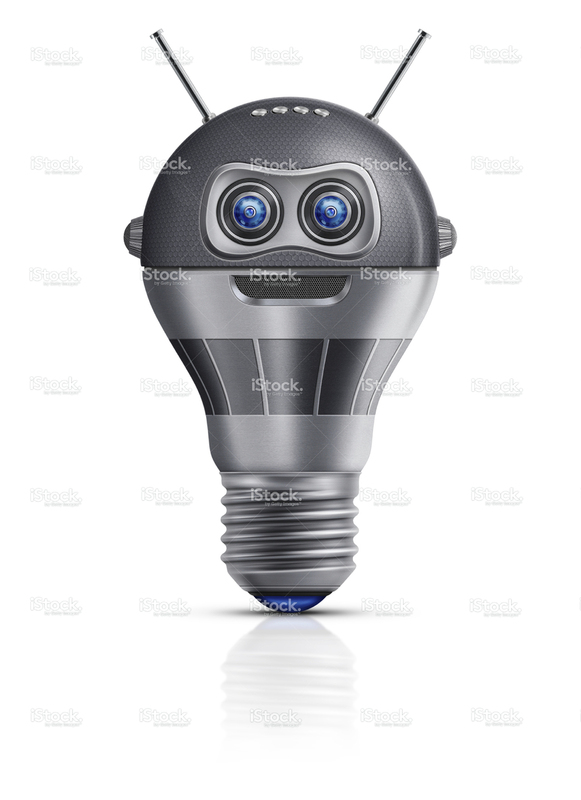 Light bulb robot (android). Isolated on white background. Digitally generated image.